We use only the finest Organic Peppermint leaves to create a deliciously vibrant and refreshing blend you'll want to enjoy every day. The use of this refreshing leaf has been handed down from the ancient Greeks and Romans, who soothed their digestion after feast days with a sprig of mint. Like chewing a fresh sprig, a fragrant cup of our peppermint tea may help ease minor stomach discomfort and tame occasional heartburn. Enjoy a warm, soothing cup of our all organic Purely Peppermint tea for a refreshing treat or as an after-meal delight! Peppermint is a perennial plant that produces light purple flowers and green leaves with serrated edges. Commonly used as a flavoring in products such as candy, chewing gum, toothpaste, and ice cream, peppermint also has been used traditionally to cool the body by promoting sweating, which can help support the respiratory system. 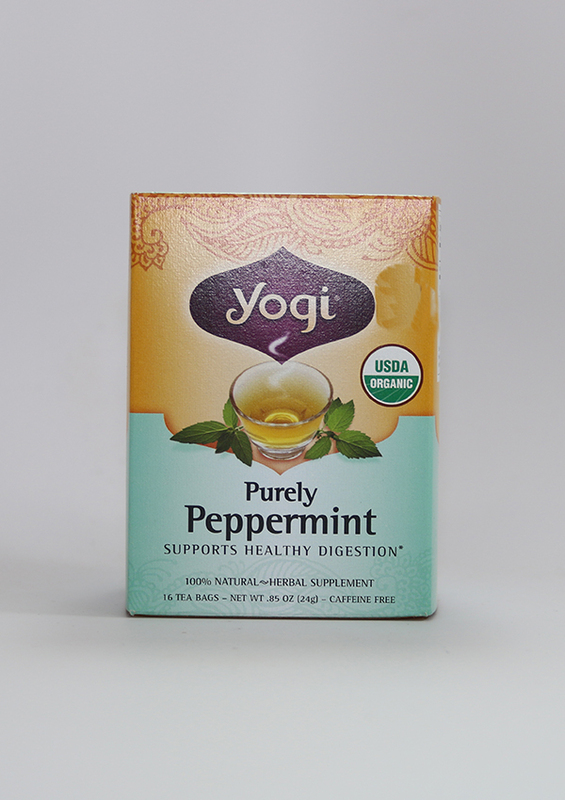 Peppermint has also been widely used to support digestion and to soothe an occasional minor upset stomach. Bring water to boiling and steep 5 to 10 minutes. For a stronger tea, use 2 tea bags. Enjoy a warm, soothing cup of our all organic Purely Peppermint tea for a refreshing treat or as an after-meal delight!